I love mint chocolate for its surprisingly refreshing taste. I also love the above scenes for their retro eclecticism coming from the mix of woods, mint backgrounds and white borders. Don't you? 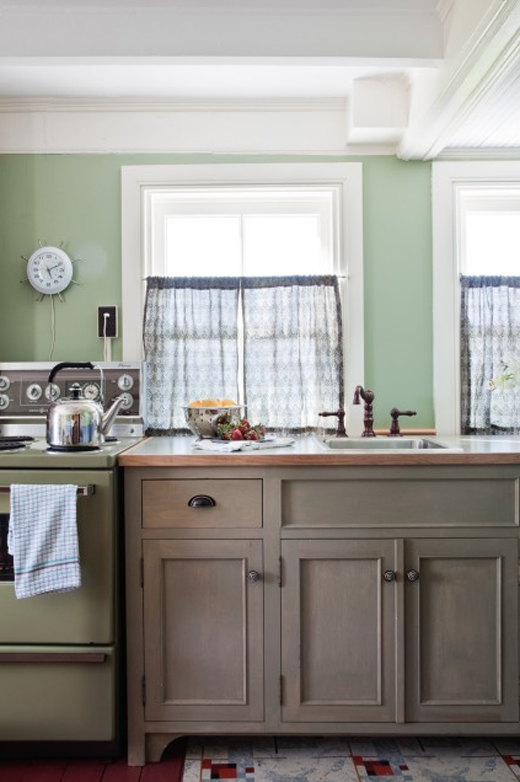 3 comments on "Mint and chocolate"
Love to have a kitchen sink by the window!